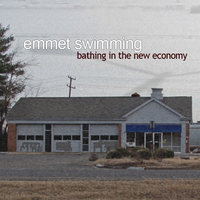 "If Emmet Swimming isn't the best band from the 90s alt-rock boom, it's certainly the best one you've probably never heard of. If you own more than three REM albums, you should have Emmet's 'Wake' and 'Dark When Snow Falls' in your collection. And, all respect to the boys from Athens, not all REM albums are as good as Emmet's two best records." "Few bands in America today can get under one's skin as effectively as Fairfax, Virginia's emmet swimming. Tied to neither trends nor movements, emmet swimming specialize in an effortless sort of transcendence creating music equally suited for providing one-to-one connection or filling stadiums." 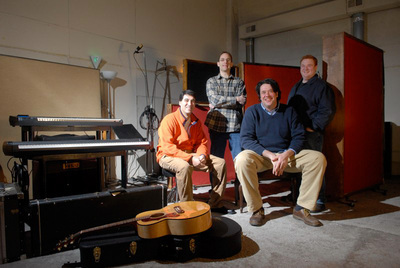 After releasing three CD's on Epic Records and touring nationwide for the better part of 7 years, Fairfax, VA's legendary emmet swimming took a long look at each other and at the van that they had largely called home for so many years and decided to take a break in the early 2000's to focus on non-musical interests. The toils of the road and the all consuming nature of the music industry had left long unfulfilled promises and prospects back at home, and the band largely dispersed to pursue families and careers. In 2007, with original drummer Tamer Eid rejoining the band and longtime friend and collaborator Scott Brotemarkle settled in on bass, the band began playing shows including a sold out performance at the 930 Club in Washington DC. The chemistry was undeniable. After releasing three CD's on Epic Records and touring nationwide for the better part of 7 years, Fairfax, VA's legendary emmet swimming took a long look at each other and at the van that they had largely called home for so many years and decided to take a break in the early 2000's to focus on non-musical interests. The toils of the road and the all consuming nature of the music industry had left long unfulfilled promises and prospects back at home, and the band largely dispersed to pursue families and careers. In 2007, with original drummer Tamer Eid rejoining the band and longtime friend and collaborator Scott Brotemarkle settled in on bass, the band began playing shows including a sold out performance at the 930 Club in Washington DC. The chemistry was undeniable. After a number of successful festival and club dates and some early Sunday morning writing sessions the band collectively decided to once again record and release new music as well as make rarities and previous albums on their own label, Screaming Goddess Records, available digitally for the first time. The first offering (via Redeye Distribution) will be a re-release of 2003's Bathing in the New Economy e.p. with a brand new bonus track (Door 2). The collection also includes The Dance, Don't Call Her (with lead guitarist Erik Wenberg on lead vocals), Johanna at the Door (recorded by the Legendary Don Dixon) and Heart Like an Eskimo. Falls" and their live album "Ear Plugs 50¢" which will both contain previously unreleased bonus tracks.